UPDATE: In October 2017 Elegant Themes released a Divi update in which they added many new fonts and fonts features to Divi. It now comes with 800 fonts. You can read more about this on their blog. So there are more fonts included with Divi than just the 91 ones that you can see on my image below. I have compiled a list of all Divi theme default fonts that are available within its package. You can see a preview of each one of all 91 fonts below. If you wonder which font does Divi use by default, it is called “Open Sans”. 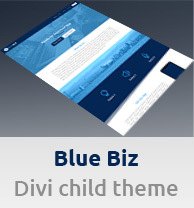 You can change both header and body font of your Divi website in its customizer in the WP admin panel (Divi > Theme Customizer > General Settings > Typography). Also, if you like the font used in the Divi default logo, that one is called “Raleway” (it is one of the Divi fonts as well). And here are the names of all 91 Divi fonts: Abel, Amatic SC, Arimo, Arvo, Bevan, Bitter, Black Ops One, Boogaloo, Bree Serif, Calligraffitti, Cantata One, Cardo, Changa One, Cherry Cream Soda, Chewy, Comfortaa, Coming Soon, Covered By Your Grace, Crafty Girls, Create Round, Crimson Text, Cuprum, Dancing Script, Dosis, Droid Sans, Droid Serif, Francois One, Fredoka One, The Girl Next Door, Gloria Hallelujah, Happy Monkey, Indie Flower, Josefin Slab, Judson, Kreon, Lato, Lato Light, Leckerli One, Lobster, Lobster Two, Lora, Luckiest Guy, Merriweather, Metamorphous, Monserrat, Noticia Text, Nova Square, Nunito, Old Standard TT, Open Sans, Open Sans Condensed, Open Sans Light, Oswald, Pacifico, Passion One, Patrick Hand, Permanent Marker, Play, Playfair Display, Poiret One, PT Sans, PT Sans Narrow, PT Serif, Raleway, Raleway Light, Reenie Beanie, Righteous, Roboto, Roboto Condensed, Roboto Light, Rock Salt, Rokkitt, Sanchez, Satisfy, Schoolbell, Shadows Into Light, Source Sans Pro, Source Sans Pro Light, Special Elite, Squada One, Tangerine, Ubuntu, Unkempt, Vollkorn, Walter Turncoat, Yanone Kaffeesatz, Georgia, Times New Roman, Arial, Trebuchet and Verdana. ever wanted but never made :) . thanks! Thanks so much Andrej! Exactly what I was looking for.